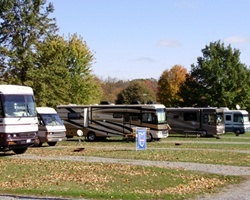 Water is the basis for much of Ohio's recreation, and plenty of it can be found on or near the Pymatuning Valley Resort. Right next door to the resort is the largest waterslide in northeastern Ohio and Pennsylvania. 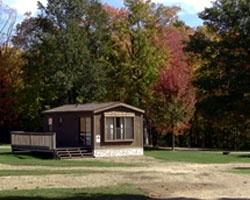 Pymatuning Lake and a state beach are easily accessible and within a mile of the resort, and Lake Erie is only 25 miles to the north. A 40-minute drive from the resort, SeaWorld is a 90-acre marine life park that presents a variety of shows and attractions. Killer whales, dolphins, sea lions, and water skiers are featured in their aquatic shows. World of the Sea Aquarium, Penguin Encounter, Shark Encounter, Shamus Happy Harbor Adventureland, and Dolphin Cove are other attractions at the park. Whether you want to see Lake Erie or are a spectator sports enthusiast, the one-hour drive to Cleveland will be well worth your time. Professional baseball, hockey, football, basketball and soccer, plus polo, rugby, auto racing, thoroughbred racing, and harness races are all available for sports fans. Outdoor & water lovers rejoice! Only 1 mile to Pymatuning Lake and a state beach! Unlimited floating weeks! Make an offer today!